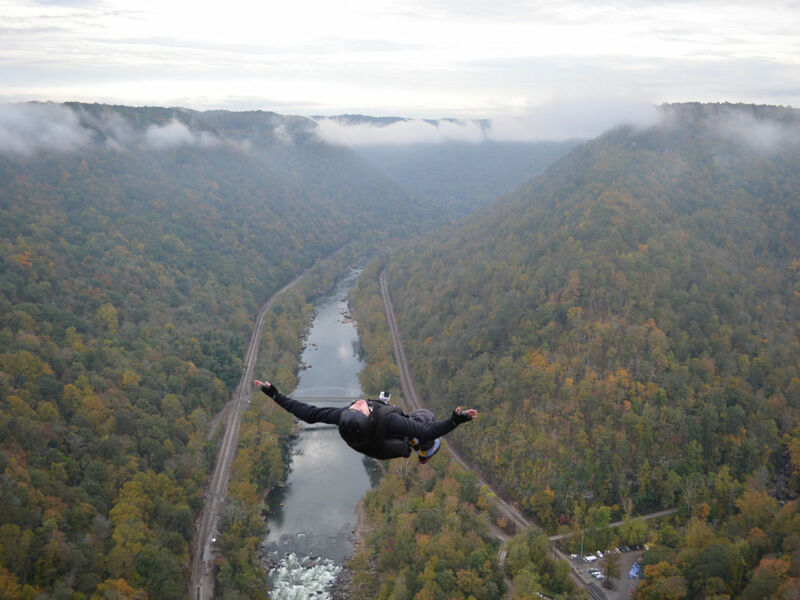 Watch 100s of parachuters launch from the 876-foot-tall New River Gorge Bridge during the Bridge Day BASE jumping festival. The event draws 80,000 spectators every 3rd Saturday in October. It’s usually illegal to BASE jump in national parks, but Bridge Day is the 1 exception, so jumpers leap as many times as they can over the course of 6 hours. "There are lots of great spots to watch the jumpers, but a lot of people like to just stand right on the bridge," says Martha, a volunteer with the Bridge Day Commission. BASE stands for Building, Antenna, Span and Earth (aka a cliff), the 4 surfaces you can leap from in the sport. With the bridge shut down to traffic for the day, athletes can legally and safely BASE jump from the bridge (rappellers lower into the gorge, too)— and you can watch the action. Or even get in on it with a highline zip. There’s a full festival on top of the bridge, with local artisans, vendors and foods. The jumpers leap from a platform, and you can watch them soar to the bottom from the sidelines of the bridge. Or. get the view from below with a shuttle to the spot near the landing zone at Fayette Station, or even on a whitewater boat trip with a local outfitter. 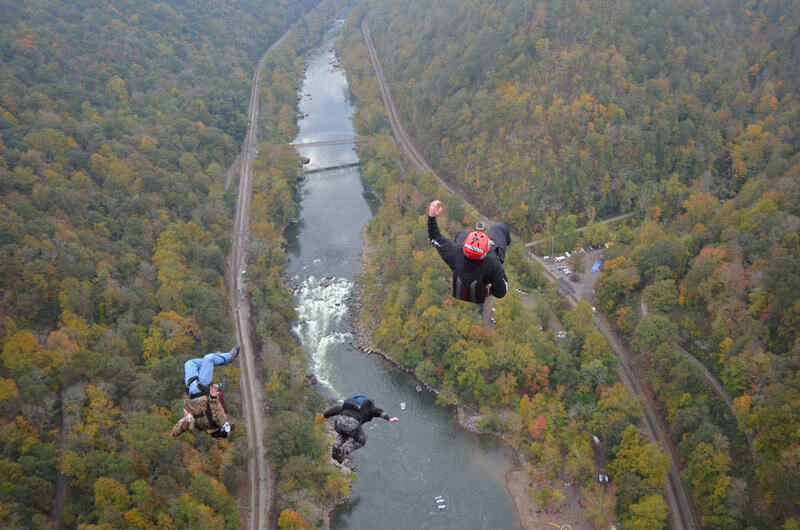 For 2016, Bridge Day is re-introducing the "Big Way," where 12-15 veteran jumpers take off at the same time. 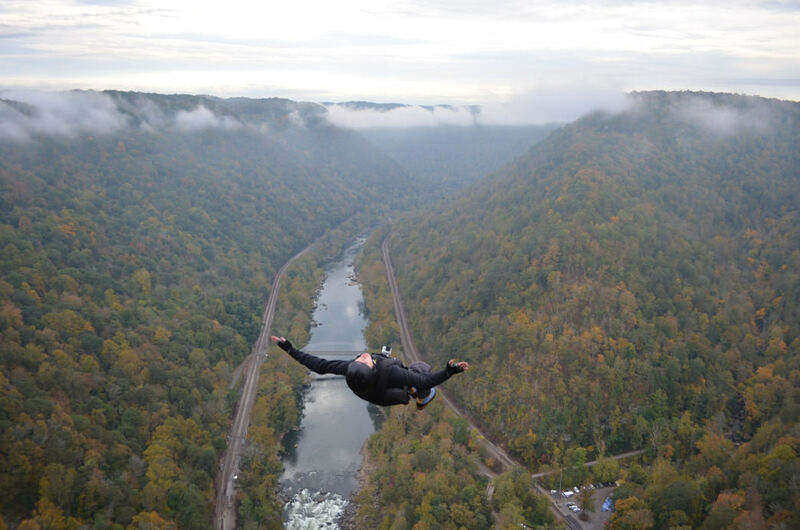 Bridge Day is somewhat of a homecoming for veteran BASE jumpers who have been returning to this spot year after year, but a lot of parachuters make their first BASE jump at Bridge Day. Of more than 3 million people skydive each year, it's still a small, impassioned community of adrenaline junkies who can claim the BASE title. About 200 jumpers are registered this year. If you aren't interested in taking the big leap, there are still plenty of activities to enjoy all weekend. Stop by Bridge Jam in downtown Fayetteville for country, bluegrass and rock music both nights. For great food, try Taste of Bridge Day the evening before the event, or the downtown Chili and Cornbread Cook-Off right after the festival. The Fayetteville Arts Coalition's fall art show will have plenty of unique works, too. And runners can sign up for a 5K the morning of the festival.